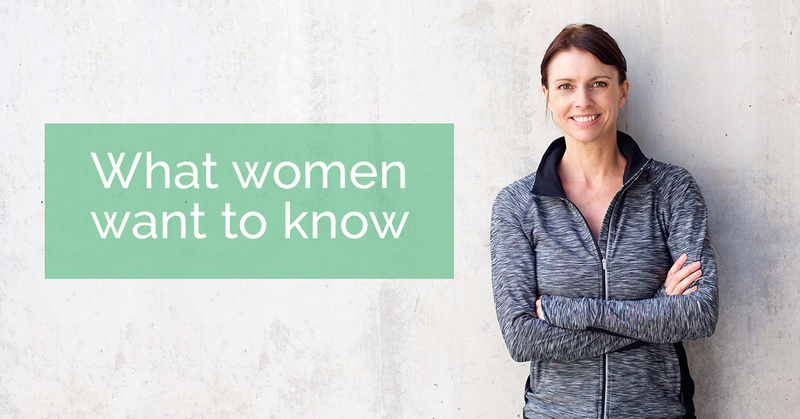 The team at Your Health Your Choice was intrigued to note that the Jean Hailes Women’s Health Survey 2018, published recently during Women’s Health Week in early September, identified the top 5 health topics that women want to know about. These were weight management, healthy eating/nutrition, mental and emotional health, anxiety and menopause. These are all areas where natural therapies offer tools and approaches that women can use to improve their health. Natural medicine practitioners emphasise nutrition, lifestyle modifications, and the importance of personal responsibility for improving health and quality of life. They also offer a range of treatments that can be effective in assisting women with mental and emotional health issues and hormonal imbalances. The Survey highlighted a concerning level of women in Australia reporting irritability, depression, stress, anxiety and sleeplessness. For example, 69.3% of the women surveyed reported becoming easily annoyed or irritated on at least several occasions over the past four weeks. Think about that percentage – basically 70% – which means that at any given moment quite a few women in Australia are probably feeling irritable. – Nearly one in five (17.7%) reported difficulty with falling asleep or staying asleep, or having restless and unsatisfying sleep nearly every day in the past four weeks. Why are these statistics so important? Well, for a start, researchers have consistently found associations between poor psychological health (which includes depression, stress, anxiety) and a higher risk of illness. Likewise, individuals that have been diagnosed with health problems often have an increased risk of subsequent psychological problems, which can then lead to worse physical health, which them impacts further on psychological health… and, well, we’re sure you can follow the bouncing ball. It’s clear that women need to look after both their mental and physical health and are struggling to do so. For us, it makes it all the more disappointing, not to mention counter-productive, that the private health insurance rebate is being removed from natural therapies. We could give you just one example in yoga, which alone is used for stress, fatigue, insomnia, low-back pain, depression, anxiety, cognitive performance, attention, memory, muscle soreness, chronic fatigue, tension headaches, and many, many more conditions. We think it’s important that as individuals we ask ourselves: how would I respond if I was filling out this year’s Women’s Health Survey? Am I stressed? Anxious? Exhausted? Nervous? Worried? Irritable? And, more importantly, if the answer is ‘yes’ to any of these questions, then perhaps it’s time to also ask: what am I going to do about it? Sign the petition below to protect your right of choice in healthcare.